NS Recipe's translations meet Joomla coding standards. They are all stored in UTF-8 encoded .ini files. You could modify the .ini files directly. The main drawback is that next time you update your NS Recipes version, all your modifications will be lost. Fortunately, an elegant way to modify translation exists. Search text you want to change. 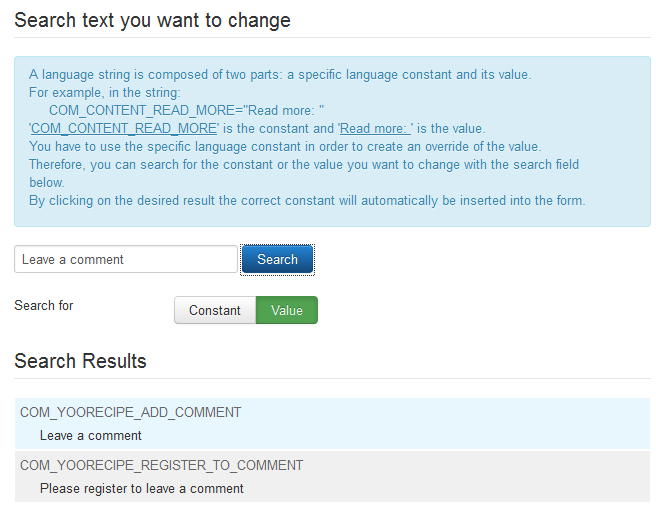 For Joomla 2.5.x You have to use your favorite text editor to find the constant associated with the label.